Be heard above the crowd! Be heard above the crowd! 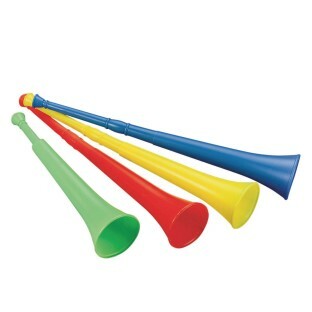 Root on your favorite team with colorful plastic noise makers. Collapsible for easy storage and transport. 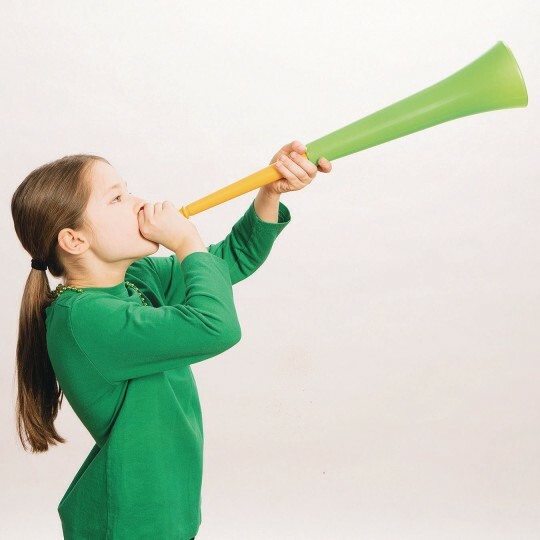 Each stadium horn measures approx. 27" when fully expanded and 4-1/2"W at its widest point. Pack of 12. I am going to keep buy this item.